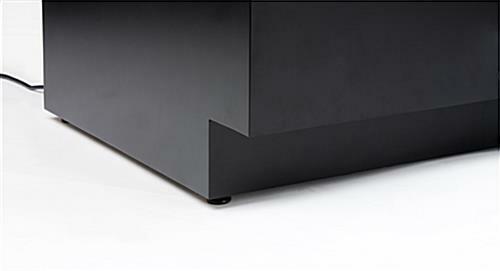 Elegant semi-gloss black finish complements any environment. 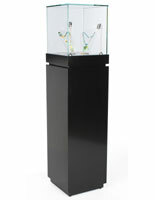 Extra-tall 42" counter display offers increased visibility of contents. 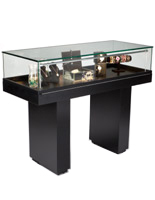 Stylish design coordinates perfectly with other displays from the Grace Tyler collection. 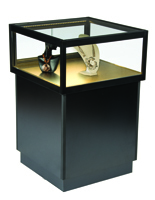 These display cabinets combine economical and cost effective features with stylish modern design. 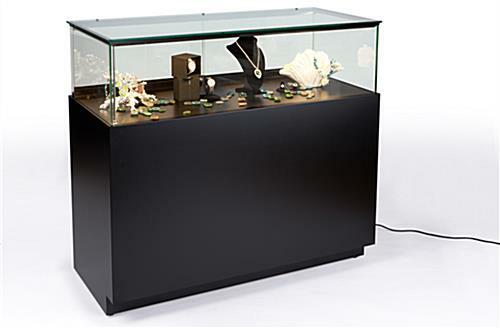 These retail displays have a black semi-gloss finish MDF base that coordinates with any other Grace Tyler showcase and will complement any decor. 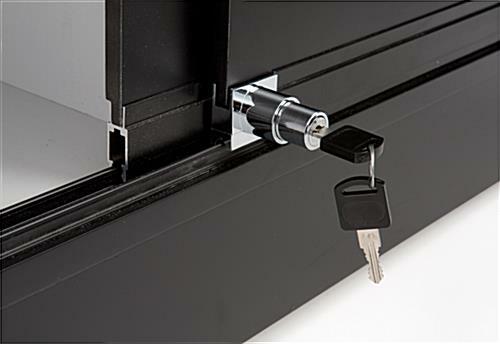 The base of each of these merchandise showcases, retail display cabinets has a recessed toe-kick, floor levelers and locking storage in the back. 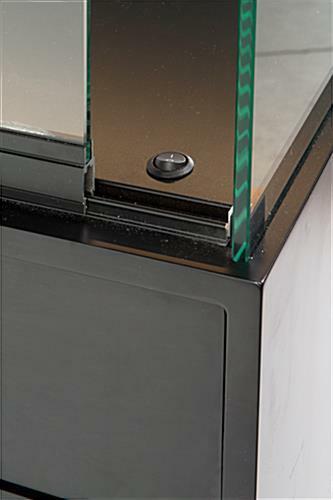 The impact-resistant tempered glass jewelry counter also features a rear-access sliding door with secure plunger lock. 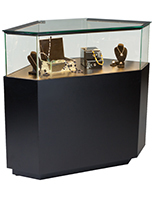 These security-enabled display cabinets, also known as retail showcase counters, are perfect for specialty and department stores, galleries, museums and schools because they are so easy to configure. 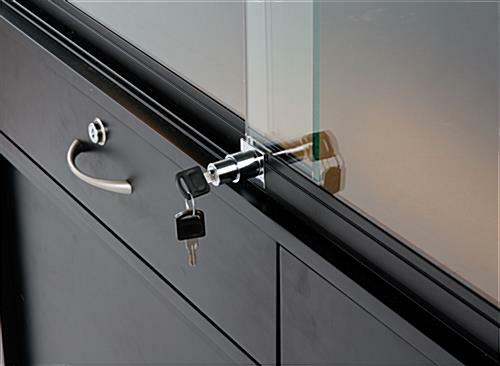 These Grace Tyler displays will coordinate perfectly with any other designs from the same line. 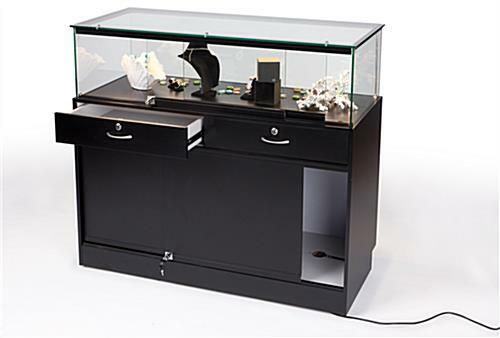 These locking display cabinets for merchandise or collections ship fully assembled and come with two access keys to the locking glass doors. 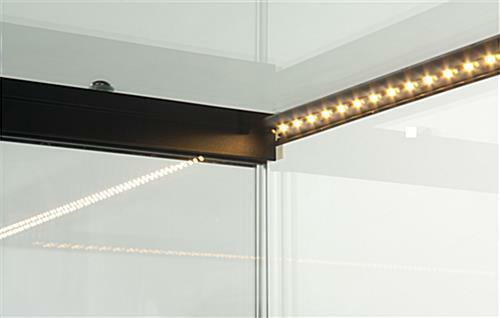 The glass countertops feature built in LED lights that provide soft, natural illumination while using less energy than incandescent, halogen or fluorescent bulbs. 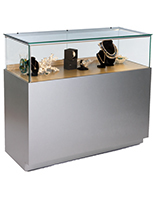 These energy efficient retail showcase enclosures, stylish Grace Tyler display cabinets are 42" tall, (4) inches higher than other models. 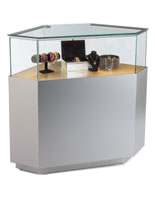 Increased counter height means that customers can easily view contents without stooping or bending. 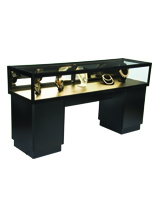 These economical store fixtures, semi-gloss black finish display cabinets are a superior choice for any retail or commercial establishment, because they are so versatile.